Below is a picture of the people who have come to every single one! 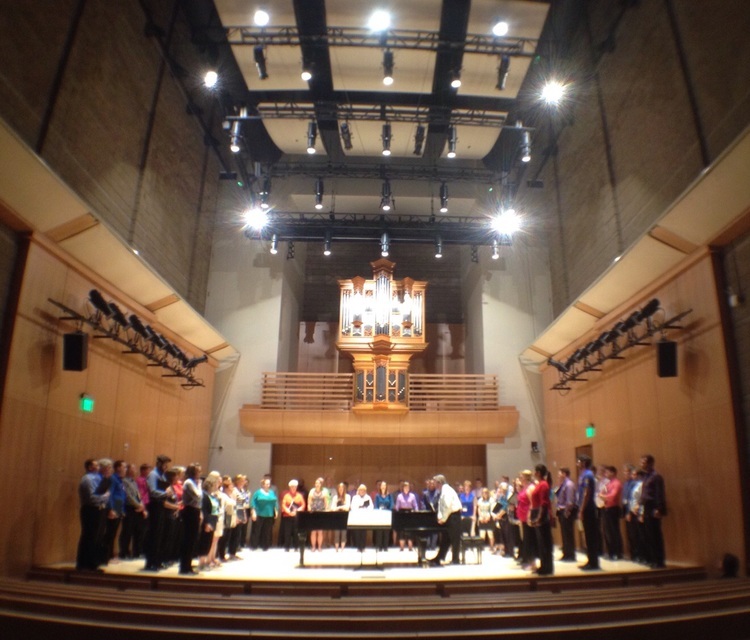 The final concert, after 5 days of intense work and fun, was held in Schroeder Hall at Sonoma State University's Green Center. The opening Mozart number, conducted by Fred was sung from the rear of the hall. Small ensembles with thematic presentations about Death, Contemporary/Diversity, Familiar Paths, and English music followed, each including 3 of us. Tutti pieces by Mozart and Mendelssohn (accompanied at the piano by Fred) were conducted by Kory and Ben, and a Martin piece conducted by Fred. Eats and fond farewells followed. The 8th edition will be in 2018. Today's concert ends our 2016-17 season. We regroup in July for a little tour of New England - Massachusetts, Maine, and Vermont.